Top six pookkalam designs is shown here. Onam, the cyst of every Keralite, the most celebrated and sort after festive for every malayalie brother is now just a few steps away. It is the harvest festival of Kerala and all are preparing for the festive day. Read the article to know more about it. Onam, the cyst of every Keralite, the most celebrated and sort after festive for every malayalie brother is now just a few steps away. It is the harvest festival of Kerala and all are preparing for the festive day. 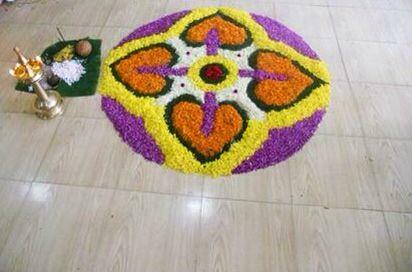 The real preparation for onam is seen in schools and colleges where different competitions and events are conducted above all it's the ten days of holiday that lures the children towards its popularity. 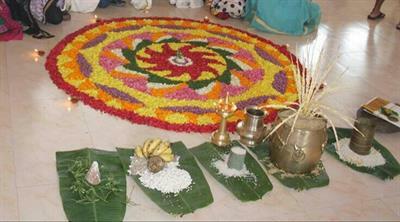 Onam is a festival whose history dates back centuries. The was of celebration would have changed a lot but the charisma and the zeal with which the festive is celebrated remains unaltered. There is a very fascinating history that relates to Onam. Once there lived a king, Mahabali who was famous for his generosity, love, care, compassion so much so that even Lords were jealous of him. His popularity was challenging even the position of Devendra so the matter was brought to the notice of Lord Vishnu who promised to look into the matter. He then incarcerated the avtar of Vamana and approached Mahabali. Vamana asked for three footage of land which Mahabali agreed after this Lord Vishnu came back in his original form and covered all of the fourteen worlds in two footsteps so Mahabali offered his head for the third step and Vishnu pushed him to the underworld but granted his one wish of letting him visit his peoples once in a year and this coming of Mahabali is commemorated as the festive Onam. It is believed that every year during Mahabali visits Kerala to see to the well being of his people Pookkalams or flower carpet is one of the major attraction of the festival onam, and there are many competitions and events conducted all through out Kerala for making pookklams. Chidren, students, elders all without any barriers of age gender or cast take part in such competitions. Flowers are the most important thing for a pookalam. Here are the top six pookkalam designs which would make this onam of yours a divine one. 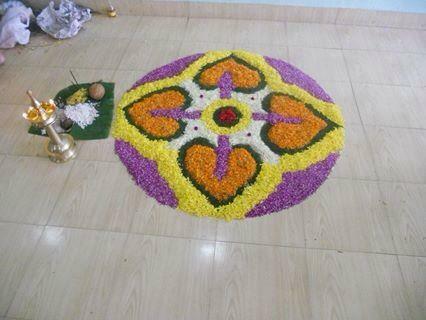 Onam Pookalam designs for Onam 2014 is given here. We provide some of the new attractive and variety Onam pookalam designs which make your Onam beautiful. These Onam Pookalam designs will be very useful for Onam Pookalam contest. Latest Onam Pookalam Designs - Various rules for designing . Here are few pookalam designs which can be used for pookalam competitions. The list of flowers and rules for the competition is added here. 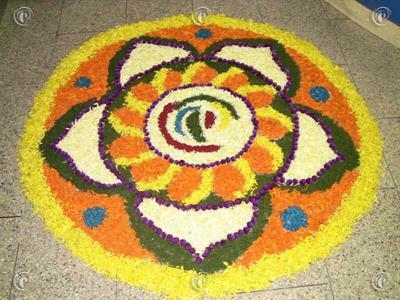 Top best Onam 2014 pookalam designs for competitions are given here. 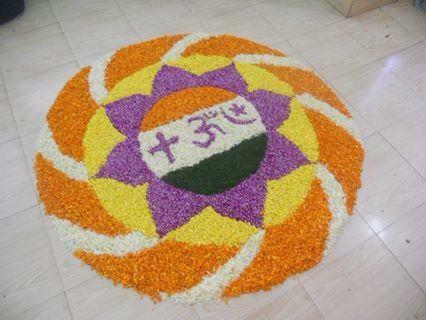 We couldn't gather Top 10 best Onam 2014 pookalam designs, but managed to get few interesting Athapookalams. Also known as floral carpet, the Onampookalam is is made out of the several varieties of flowers pinched up into little pieces. 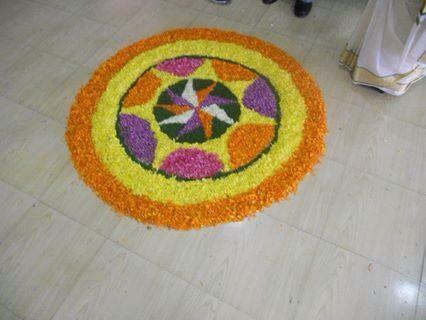 This Pookalams are similar to the 'Rangoli' made by North Indians which is made of powders of various colours.